From Wednesday 20th April 2016, the opening 3 minutes of “The Legend of Shankhadhar : शंखधरया बाखं” is on exhibition at Nepal Art Council, BabarMahal, Kathmandu, Nepal. The sequence successfully won “Special Prize” at the 2016 Nepal Fine Arts Exhibition organised by Nepal Academy of Fine Arts, Kathmandu. 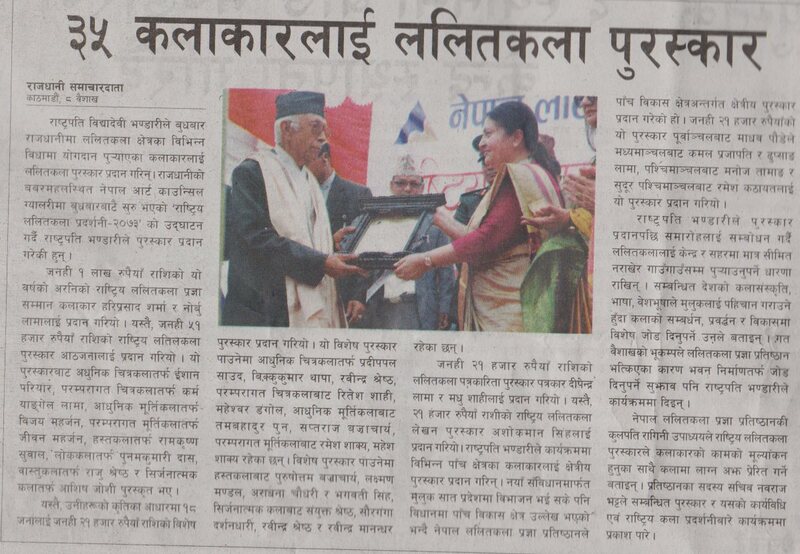 The prize consisted of an award for yantrakala’s Sanyukta Shrestha along with NRs 21,000. 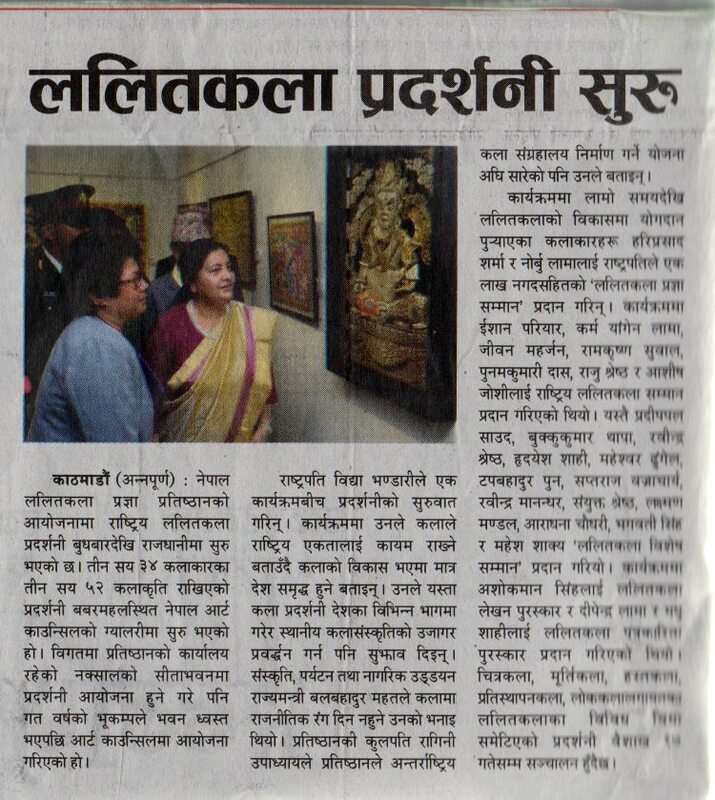 Here is a selection of news published about the exhibition in various Nepali media on Thursday 21st April 2016.